The Mastercraft RA-561 industrial floor scrubber is an almost indestructible, dual-brush, battery-powered, machine built with 13 gallon solution tank and 14.5 gallon recovery tank with manual squeegee control for maximum productivity. The offset brushes are ideal for scrubbing close to walls and have controllable down pressure which make them easy to adjust for lightest to heaviest duty scrubbing. A modular plug-in scrub head, modular pump motor and control assemblies give fast and easy maintenance. 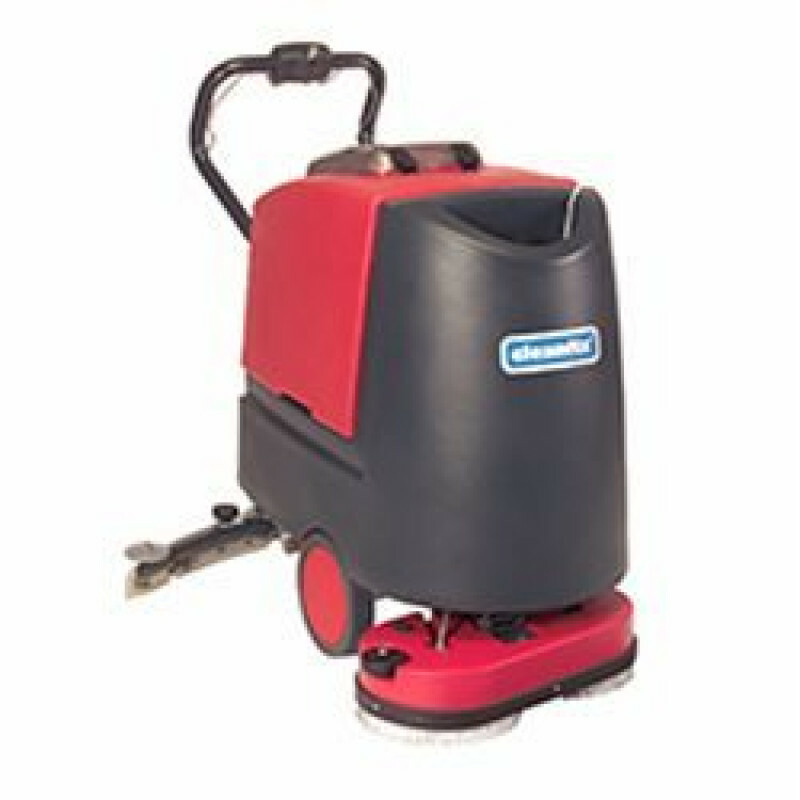 It's the perfect addition to your medium sized facility floor cleaning equipment and comes with a 1 year warranty on pumps and motor. In order to thoroughly clean your floor and remove dirt and debris you'll first want to use either a floor scrubbing solution like Magnifico Multi-Purpose Floor Cleaner or for heavier jobs, a floor scrubbing degreaser such as our Industrial Strength Anti-Foam Degreaser. We recommend burnishing or polishing your floor with a high speed floor polisher machine and a product like our Trusted Clean 'Restore' Floor Wax Polishing Solution after scrubbing to achieve a beautiful glossy shine. 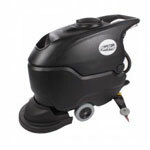 For other scrubbing options, please take a look at our full line of Mastercraft auto scrubber machines and many other brands of walk behind floor scrubbers. Variable transaxle drive speed allows the operator to scrub at a pace that they're comfortable with. Efficient filling and draining of the machine mean less down time, and more productivity. Max productivity of 20,000 ft²/hr allows you to clean medium to large sized businesses efficiently. Downward brush pressure of 70 pounds allows you to deep scrub in a single pass.